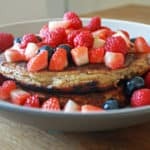 Make them vegan pancakes: ditch the eggs! The pancakes will taste as good but won't be as fluffy. Mix all the ingredients (except the coconut oil) in a blender. Continue to blend until the pancake mixture is smooth. Stir well. Optional: add fresh blueberries to the blended mixture. Meanwhile, heat a pan over a medium heat and add a dash of coconut oil. Slowly pour approximately ¼ of the pancake mix into the pan and turn it so the mixture is in circles. Cook for about 2-3 minutes on one side. You will notice how the pancake slowly turns into a nice golden brown colour. Flip it over and cook the other side for another 2 minutes. 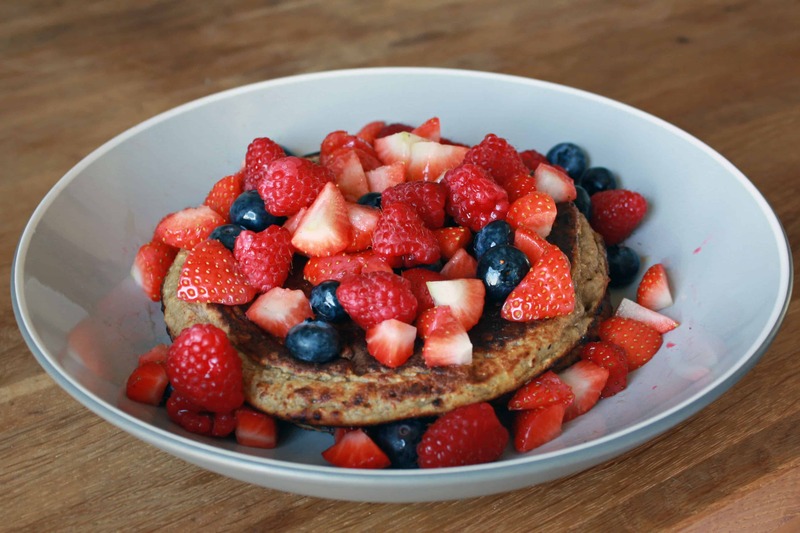 Serve your healthy pancakes with your toppings of choice. 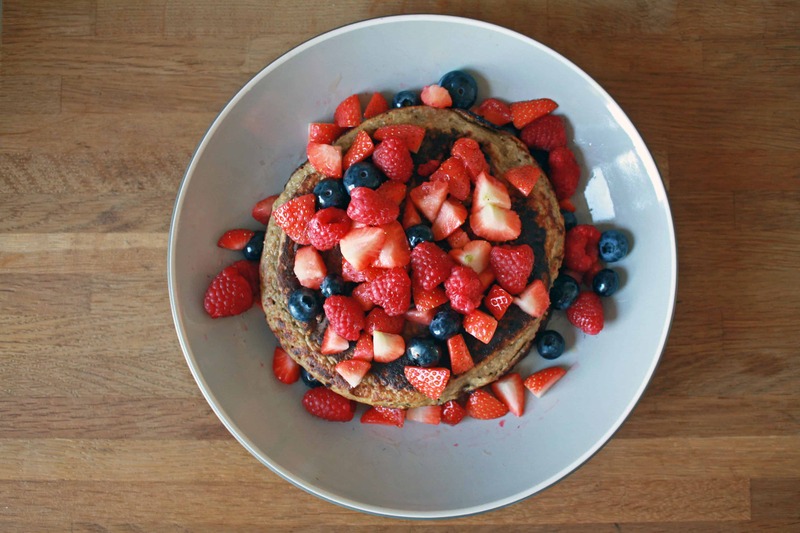 I hope that you guys like this healthy pancake recipe. Have you made our pancakes? 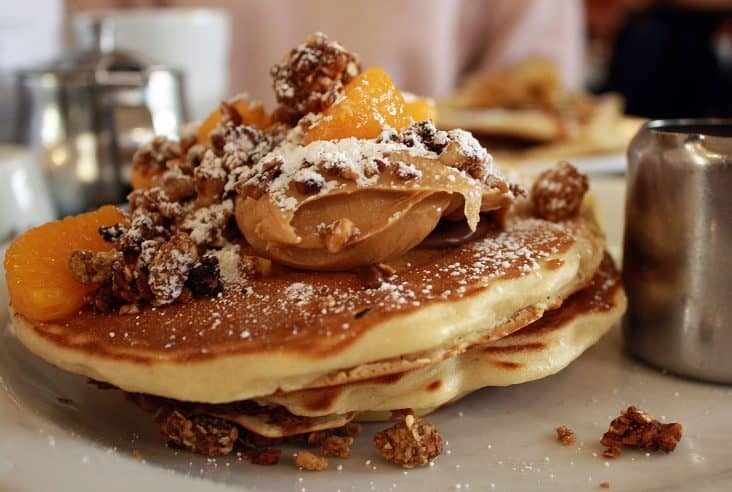 Or do you have any recommendations to make these pancakes even better? I would love to hear your thoughts in the comments below! We have the vegan version every weekend, one less ingredient and in the nutri bullet it’s super easy! I agree! I love it when recipes are not only delicious, but easy as well! It makes cooking way more fun. 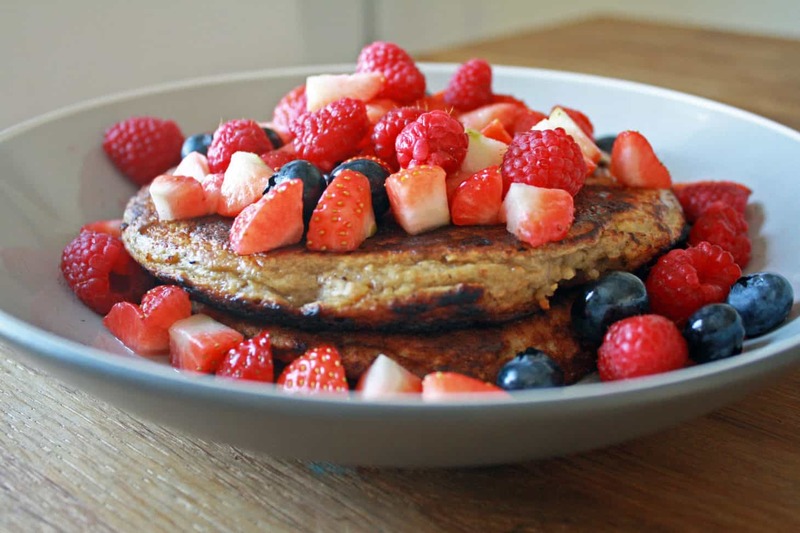 I love banana pancakes but I have never had banana and oats so I will definitely be trying this recipe out. They look incredible!! I am most definitely saving this for future reference! Your photos make them look so delicious! I’m not vegan but I love that I would easily be able to make this for my friends who are. Love pancakes and would definitely try this. This looks like a great recipe. I will definitely be giving this a try! Looks so good and the recipe is pure perfection! Healthy way to start the day. I don’t like eating unhealthy sweets and feeling so slugging four hours later, truly messes up my energy and motivation throughout the day. Thanks for sharing! These sound amazing!! Going to try and make them this week! O heck yes to these!!!!!!!!!! I realized I already commented to these a while back, but I guess that is how good this recipe is to me, I keep coming back lol! Sounds delicious! 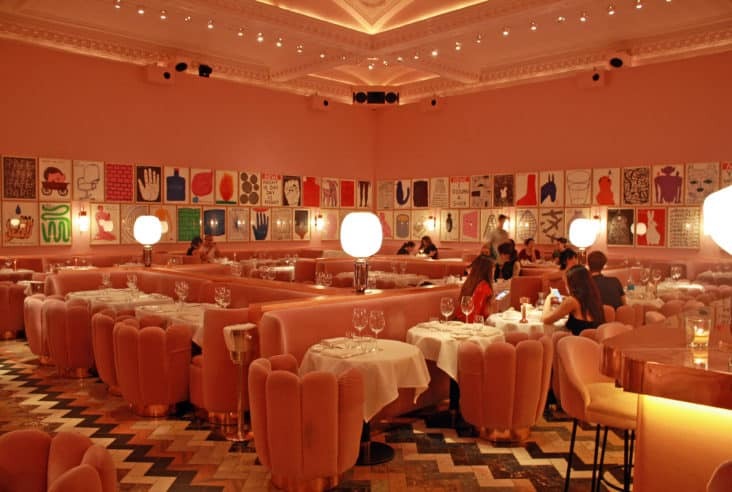 Always looking for healthy alternatives to sweet dishes as I have such a sweet tooth. I’ll have to give it a try. Thanks for sharing!